For anyone living in or near Ohio, you can see my presentation "The Bassett Genealogy DNA Project" at the June, 21st, 2005 meeting of the Coshocton County Chapter of The Ohio Genealogical Society to be held at 7pm at the Senior Center located at 201 Browns Lane, Coshocton, Ohio. Family Tree DNA (our testing company) came out with a new 37-marker test last year and we have upgraded a dozen or more tests to the 37-marker to see if it would help identify connections between famililes. It gives us much better information to piece together unconnected families than the 12 or 25 marker tests. For this reason, I am hoping to upgrade all DNA tests to the 37 marker for anyone not listed in the Unconnected Bassett section at the web site. I am especially interested in upgrading the Cornwall Bassetts and Wales Bassett to include that information in an article that I will be writing for a National Genealogy magazine when the results are complete. I have negotiated a small discount if we can get at least 15 upgrades ordered at the same time. Six people have already committed to the upgrades in the past week. Contact me if you are interested or if you want more details. I will be travelling to Williamsburg, Virginia for a vist in April so look for an update on the Bassetts of Williamsburg in an upcoming issue of my newsletter. (They include Elizabeth Bassett Harrison, mother of President William Henry Harrison and her brother, Burwell Bassett, brother-in-law to President George Washington). For those of you who have been receiving my newsletter from the beginning, you may remember the first issue giving information on Charles Bassett, Marshall of Dodge City, Kansas, son of Benjamin Bassett. One of my readers had pointed out an inconsistency with the lineage of Benjamin Bassett, his father. I have now moved him to a separate family, the #259B family of Benjamin Bassett of New Bedford, Massachusetts. Below is a link to read about a Bassett currently on our newsletter distribution list. 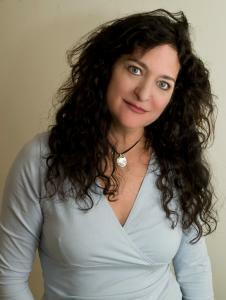 Carol Ann Bassett is an author and professor residing in Oregon. The following is a postcard that I purchased on e-bay. Very little is known about the Bassetts that ran this restaurant in Angola, Indiana. The following is the census of the Bassett family that ran the restaurant in the 1930's. If anyone knows anything more about this family, please let me know. As a hideaway for the rich and famous, Steuben County was a popular destination for Fort Wayne-born movie star Carole Lombard and her husband, Clark Gable. Gable and Lombard liked to relax on the shores of Lake-of-the-Woods at her parents' cottage. It is said that Lombard so much loved to eat at Bassett's Restaurant in Angola that the star had her own booth permanently reserved, so it always would be available. Joan Crawford and Kathryn Hepburn visited here, too. Hepburn, it seems, loved eating at Bassett's as much as Lombard, even allowing her photograph to be taken while eating there. DNA testing has tied this family to #1A William Bassett of Plymouth, but the exact link has not yet been determined. Floyd Beamer Bassett, son of Edward Cunningham and Sylvia Ellen (Westerhaven) Bassett, was born 11 Mar 1880 in Gaylord, Michigan. He died 17 Oct 1964 in Plymouth, Michigan. He married Mabel Iva Chillson, daughter of George and Margaret M. (Bentley) Chillson, on 15 Mar 1900. She was born 22 Jun 1880 in Plymouth, Livonia County, Michigan. She died 5 Sep 1944 in Livonia, Michigan. In addition to the children listed below, there was a male and female, both born in Livonia Township, Wayne County, Michigan. They both died at birth. According to family records "The mother of these children was petite. Upon carrying this child full term the doctor had to crush the skull for birth thus killing the baby. The second one had the same fate as her brother". Floyd was the owner of Nankin Mills. He sold it to Henry Ford in 1918. Detailed information on the children are not listed since several are still living. Henry Ford and Floyd Basstt on the porch at Nankin Mills.